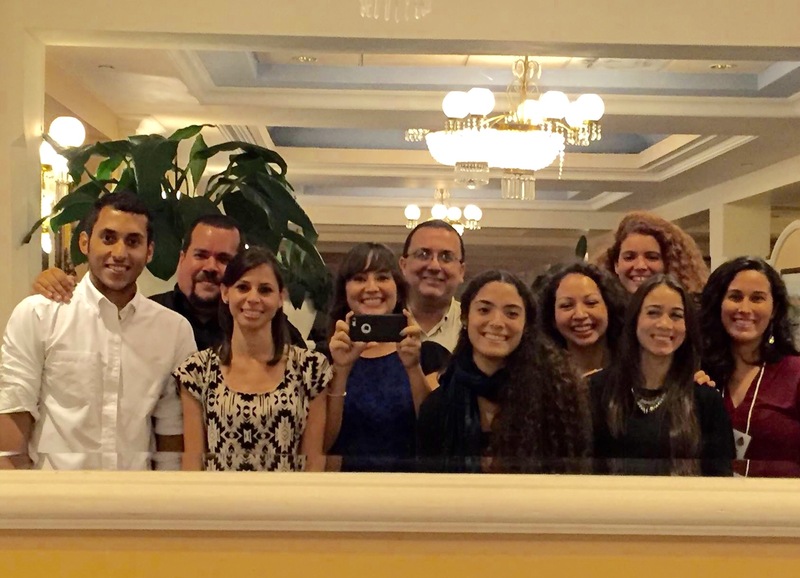 Students at the UPR­RP won 4th award on environmental research efforts. The student organization Material Advantage at the University of Puerto Rico in Mayagüez (MaAd UPRM) received Excellence Chapter award for the Academic year 2014-2015 at the annual conference Materials Science & Technology 2015. UPR alumni celebrated a ceremony to deliver the Ford Motor Company Fund STEM fellowships to 7 UPR students. Several Puerto Rican students from different institutions in Puerto Rico received awards at the SACNAS (Society for Advancing Chicanos/Hispanics and Native Americans in Sciences) conference in October. New Haven, CT - The nonprofit organization Ciencia Puerto Rico (CienciaPR, www.cienciapr.org) received a large grant to establish, in collaboration with Yale University, an innovative program to transform the training of young scientists in Puerto Rico and the United States. The funds, which amount to over $1.6 million over five years, were awarded by the National Institutes of Health (NIH). As a young investigator in biomedical research who is getting ready to complete her Ph.D., I have been looking back at my journey in science and would like to share some insights. By sharing my experience, I hope to support and encourage anyone considering a career in science; it is a long journey but anything is possible with passion, hard work, and perseverance. The annual Materials Science & Technology 2015 conference recognized the RUM student Chapter in Material Advantage (MAUPRM). Grace M. Fontánez Santana at the Department of Applied Physics at the University of Puerto Rico Humacao receives the CEAL fellowship by the Universidad Autónoma de Madrid and Banco Santander.